If you prefer to email your video to us, send to videos@givethem20.org. Moody’s Veteran’s supporters completed the #givethem20 challenge. We now call upon Valor at S&P Global to do the same and spread awareness. 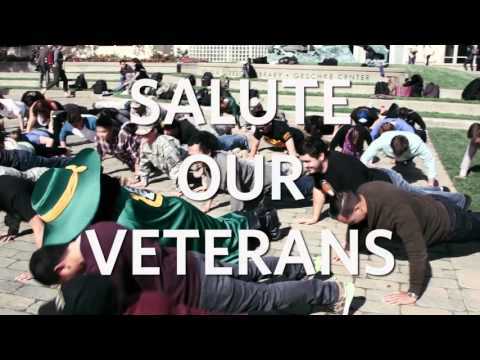 President Les Wong and student veterans answer Golden Gate University President David Fike’s challenge to do 20 pushups and raise awareness for veterans issues as part of the #GiveThem20 campaign. We invite you to join us in #GiveThem20: 20 push-ups dedicated to support, salute, and thank our Veterans this Veterans Day!Capture a video of your 20 push-ups: anywhere around the city, world, or as we do from the top of the 1 World Trade Center. Be sure to tag us and use #GiveThem20, #1NSPIRED & #VeteransDay, to increase awareness! Thank you Veterans for #1NSPIRING us with your service. Spend 20 minutes answering veterans’ career questions on our Q&A site, ACP AdvisorNet. Help veterans find their next career. Post jobs on ACP AdvisorNet – it’s easy and free to post. We’d rather you mentor or hire our returning veterans, but if you'd prefer to give - donate here. #SRJC President, Dr. Frank Chong joined the #GiveThem20 push-ups challenge, saluting and honoring our US military service members and veterans. As always, Dr. Chong stepped up while using his creativity, with the help of our athletes. You will see his ingenuity around second 23, where everyone had fun literally supporting our President. 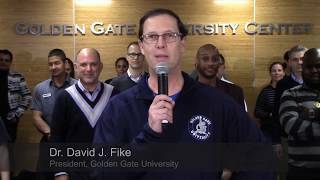 The challenge was passed to Dr. Chong by @[8467401826:274:Golden Gate University]'s President, Dr. David J. Fike. Now we're challenging all our friends to salute the troops and veterans and #GiveThem20!